It's not for the track and field. It's for the junk food. In my daughter and her friend's case, they're specifically excited about the sport drinks the school sells the kids at the event (they also sell them Freezies, chips and popcorn). You see neither have ever tried one. Honestly, it's not because my wife and I are dietary ogres who deny our kids any taste of sugar sweetened beverages, but clearly we don't have sport drinks at our house because if we're going to give our kids candy, we're going to give them candy way better than sport drinks, and without sport drinks' undeserved health halo. And it's a health halo that my daughter's elementary school is helping to solidify given that according to my her, last year's track and field day saw the school bringing all sorts of different brands and flavours of sport drinks to the meet. A meet where by the way, if you ran every single event you'll have run a grand total of 3km, done a long jump, and thrown a shot put. Not a single kid on that field would benefit from or need a sport drink, yet plenty will further internalize the notion that exercise requires or deserves them. 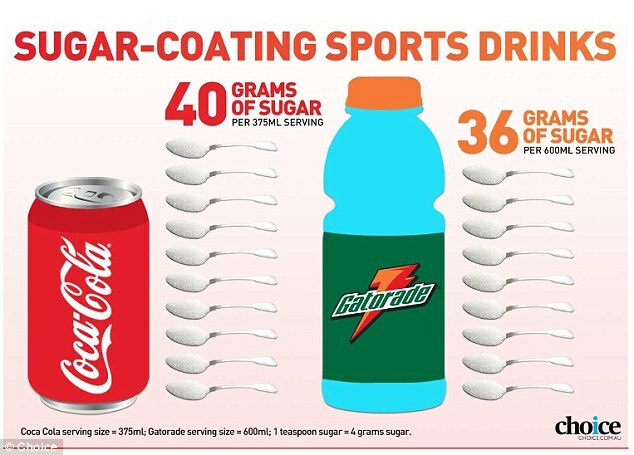 Schools shouldn't be in the business of peddling junk food to children, and instead should be taking advantage of events like Track and Field Day to teach them that sport drinks are just liquid candy, bad candy at that.